Have you invested a small fortune in your carpets for your home in Barnes, SW13? Do you feel like carpet cleaning is a chore you would rather get help with? If you answered any of these questions with ‘Yes’, then you can definitely use the carpet cleaning in Barnes, provided by The Top Carpet Cleaning London. Since the gear we use for some of these tasks is the same, it is not a problem to supply you with all of them. You can even benefit from this in a single visit by our carpet cleaners! Just contact 020 3322 8944 and discuss the available options with our representatives. Why hire our professional carpet cleaning in Barnes? That is a question we get asked often. You know that your carpets get dirty and that vacuum cleaning should sanitise them. However, vacuums don’t really remove all spoils, but only the surface. What you need are our well-trained and equipped carpet cleaners to get all dust and dirt out of the fibres. 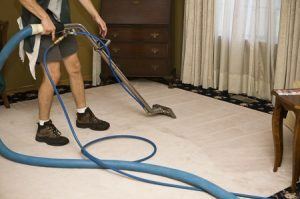 We use eco-friendly methods of carpet cleaning, which feature hot water extraction. It has been proven that this cleaning solution can make your carpets look as good as new. More importantly, they will be free of annoying allergens and dirt. You will immediately feel a relief if you are suffering from allergies or asthma. Contact 020 3322 8944 and you will learn just how beneficial our carpet cleaning in Barnes actually is. How can you hire The Top Carpet Cleaning London? It all starts with a single call on 020 3322 8944 or an email sent to our enquiry team. We will provide you with a free quote and further details on how we will carry out the service. There is no doubt that you will find our prices greatly affordable. Even if you are under budget restrictions, you can still book our carpet cleaning services. We guarantee that it won’t be long before you know that you have made the right choice. Soon enough you will our carpet cleaners on the job again. What is up in Barnes? The district of Barnes is part of the London Borough of Richmond upon Thames. It is the most northeastern part of the borough and as such, it is closest to the London centre. The area features a very busy high street, with convenience shopping venues and arts options as well. There is a large number of 18th and 19th-century buildings with most of the latter situated near Barnes Pond. The pond and streets surrounding it make the Barnes Village conservation area. Each month, the area around the pond is host to covered and open-air markets. Barnes Fair is an annual event, it’s on the second July Saturday every year. Try our carpet cleaning in Barnes – you won’t regret it. Give us a call today on 020 3322 8944.